Lovely! I love how so many ladies in the blog community are raising awareness! Thank you, Jamie! I'm also touched--but not at all surprised--to see so many bloggers joining in to help spread the word, and Nory is such an inspiration. Beautiful nails for a wonderful cause. Great awareness nails, really lovely mani!! Thanks for the PCOS awareness. 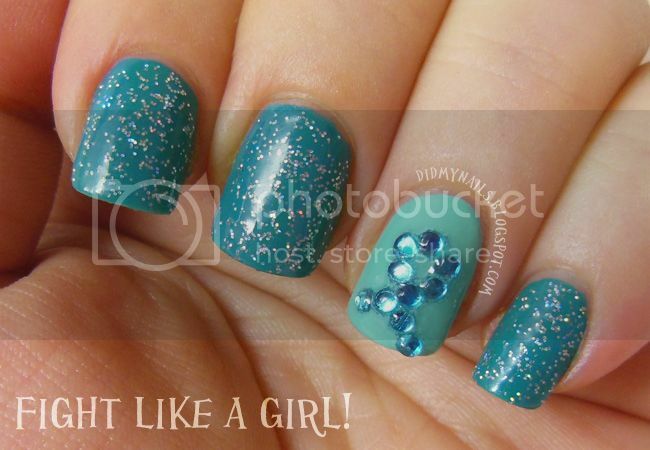 Sept is also ovarian cancer awareness month of which teal is their identity color. Gorgeous nails and it's so nice to see you all support a great cause! Great awareness! Love the mani! Looks awesome! Love the rhinestones!!! 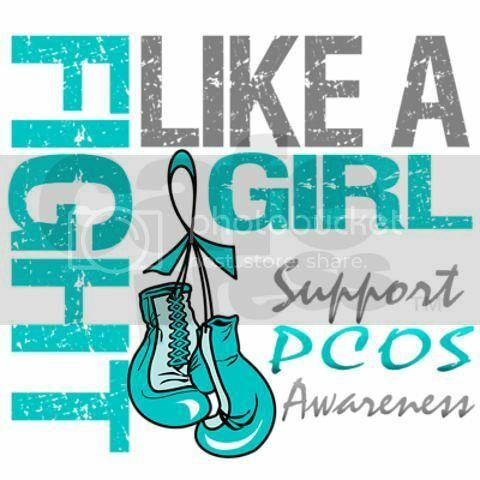 I did not know about PCOS, thanks for sharing! I love this, I think you did an amazing job! I really love the crystal ribbon. Fabulous! loving the crystal ribbon! loving all these support and awareness manis! Thank you very much! I've really enjoyed seeing them all too. Congrats again to Nory for organizing it! Love this big! Its nice to knows there are others out there! !